Water being drunk from a glass. Unitied Utilities has come under fire for its handling of the water contamination chaos across Lancashire. Dozens of readers have taken to social media to voice concerns about the way information has been relayed after traces of cryptosporidium were found at the Franklaw water treatment plant near Garstang. The situation has left around 300,000 people unable to drink the tap water. 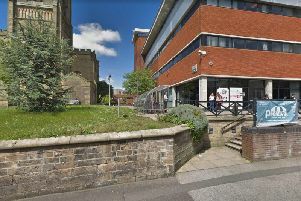 Some claims were made that the public weren’t informed as early as they could have been, but United Utilities bosses say the information was provided at the “earliest opportunity”. And Tony Woody said: “United Utilities should be coming round with bottled water for every house affected. But United Utilities bosses defended their response, and a spokesman said: “We carried out the tests and then on Thursday, after consulting with our multi-agency partners, a decision was taken which was the first time a decision could be taken, to issue the boil water notice. It was issued purely as a precaution. “As soon as it became readily available from the tests that we carried out it was made known into the public domain from ourselves and other partners.